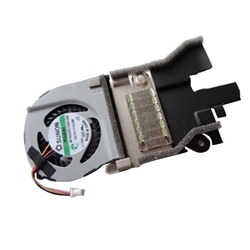 Home → Laptop Cpu Fans → Acer Aspire One D255 D255E Happy Cpu Fan - For the N550 cpu only! Acer Aspire One D255 D255E Happy Cpu Fan - For the N550 cpu only! Description: New genuine Acer Aspire One CPU Fan. This is for the models listed which come with the Intel Atom N550 cpu installed. Part #'s: 60.SDE02.007, AT0F3001SS0, MF40050V1-C040-G99.